Roasted chestnuts is a common street food in Asia and parts of Europe. It is often eaten as a snack, but can be used in stuffing, salads, and even desserts. We started Anson Trading Co to share one of our favorite childhood snacks to Silicon Valley, but honestly we're just really addicted to the smoky sweet smell in autumn and winter! 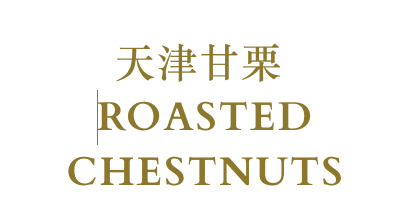 We import Tianjin chestnuts directly from China and roast them every weekend starting in October. ​You can find us in front of the Mitsuwa Marketplace Saturday and Sundays or place an order directly from the site. Purchase a complimentary 1/2 pounds with every 2 pounds!